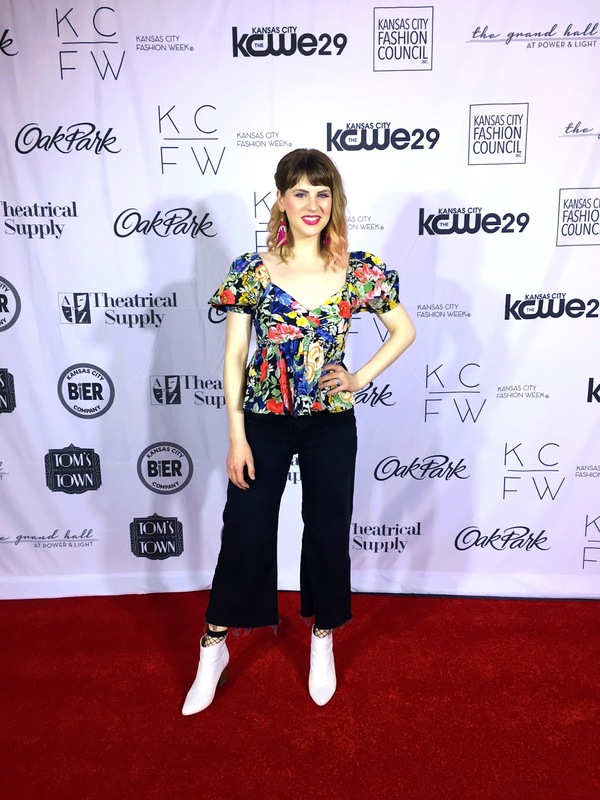 If you follow us on social media, you've probably seen by now that I went to Kansas City Fashion Week a couple of weeks ago and had a blast seeing new trends on the runway. Be sure to check out our Instagram stories for the final runway walk of each collection and check out my post about the opening media event here. 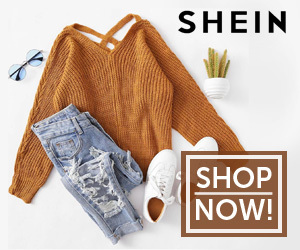 I attended the Wednesday, Friday and Saturday shows, and there were tons of amazing pieces on the runway, but I've rounded up a few of my absolute favorites to show you. First up, here's my look for Wednesday. A bright floral top with puffy sleeves, black culotte jeans and white booties were a perfect casual yet snazzy look for spring. Another post with more of those details to come! My first favorite of the evening was this stunning sweater by Fey Chavez. The whole line was a trendy-with-a-throwback selection of menswear, but you could audibly hear a gasp when this sweater passed. We've seen giant throws in this style of large knit before, but I hope we'll see a lot more of this wearable version come fall! Next up was Cierra Marie McMichael with lots of glitz and drama. I mean, just look at that cape! That photo is the dictionary definition of "slay." Ok, well speaking of capes, take a look at this one from Sew Unrelaxed! I feel like know it would be too much to just wear around town, but this red riding hood number is the stuff of dreams. If I ever get invited to a royal ball, I'm definitely getting my hands on this baby. Fun loungewear and flowing garments from Schyline was yet another highlight. The cut of this dress is so regal and magical and, since I've got my royal ball attire covered, I'll say that if I'm ever a character in Game of Thrones, this look will be my go-to. Both of the above photos are from Em's Trends, whose collection was so young, fresh and vibrant! With lots of florals and unique cuts, this whole line was definitely covet-worthy. My look for Friday night made me feel kind of like an 80s backup dancer and I loved it. 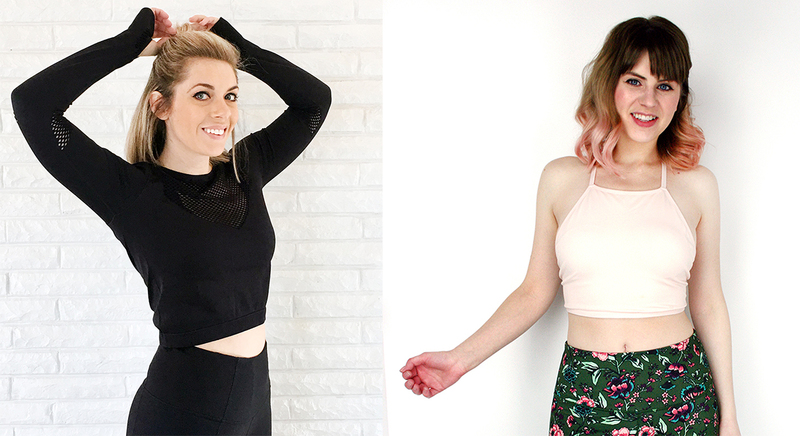 The sheer trend isn't going anywhere, and I'm excited to be rocking this through the summer. Again, look out for a post on this outfit soon! Ok, back to it! Tobie Marie presented a breathtaking collection of sheer florals and dreamy layers. 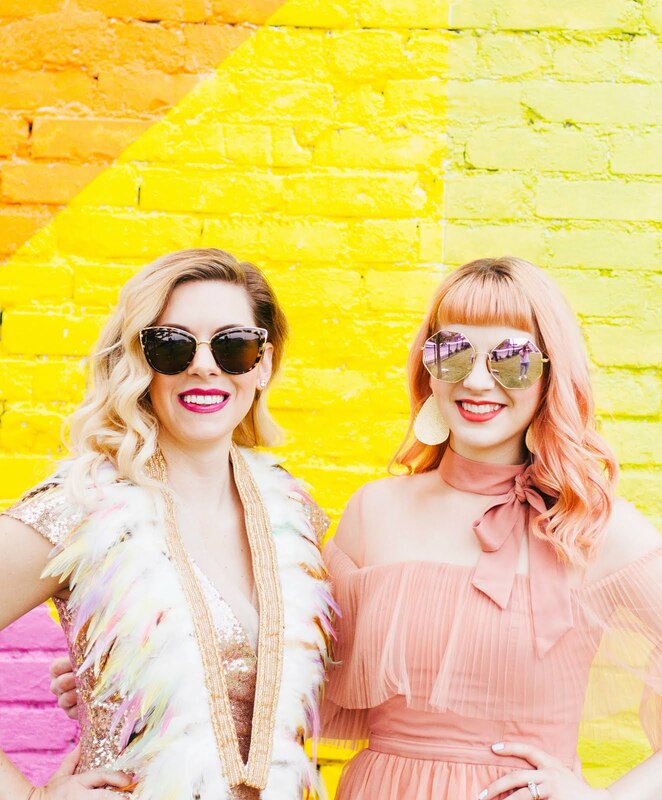 Not only was the clothing stunning, but the models in this collection represented every size, shape, and differently abled individuals. There might not have been a dry eye in the house for their final walk. Munelle de Vie was an incredibly cool and avant garde collection overall. 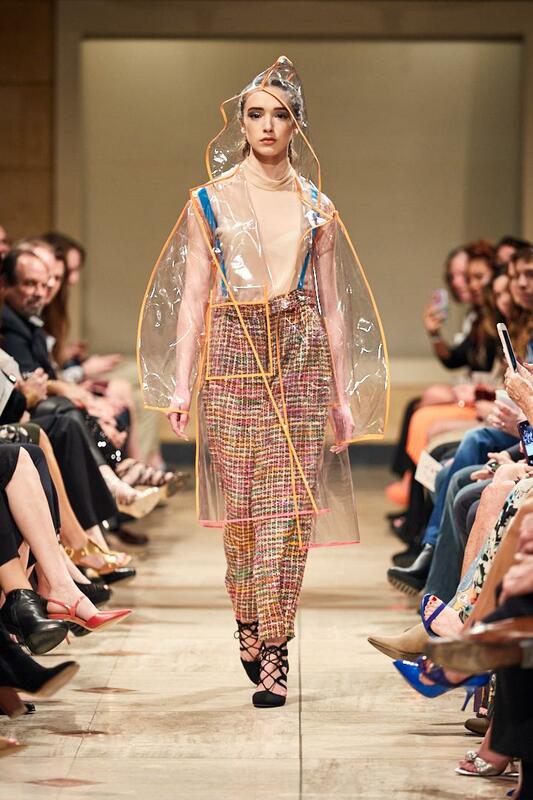 This neon-trimmed transparent rain jacket really took the cake, though! Would you promise not to judge me if I just strutted out in April Showers in this? Because I totally want to. 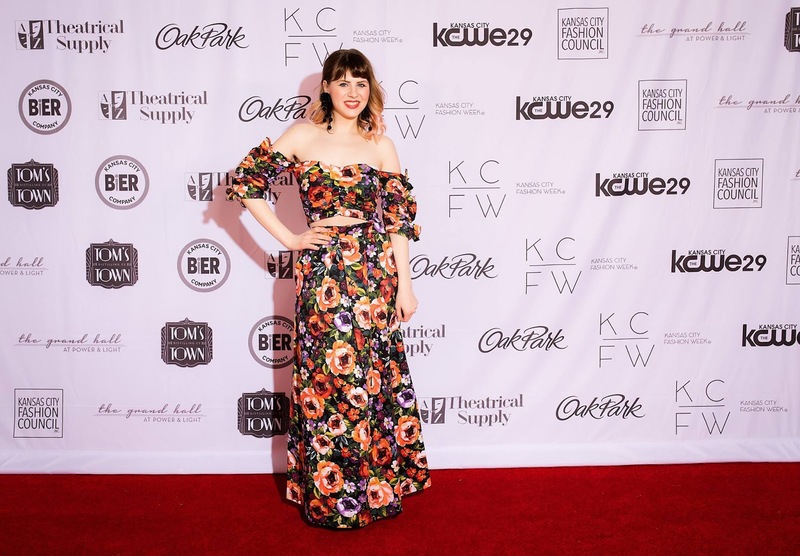 For my final look of KCFW, I wore this two-piece floral set that— surprise!— has a very '80s feel to it as well. You won't have to wait long on the details of this look, it's coming your way on Friday! TR Brown came through once again with a collection that knocked my socks off. It was all about retro-inspired office wear, and it felt very high end and wearable all at the same time. 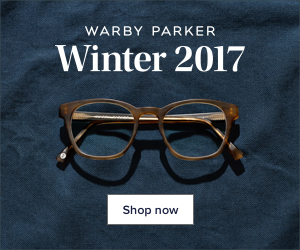 If I'm being honest, there are some pieces I'm seriously considering purchasing from this line, and I mayyyy just have to get on that. 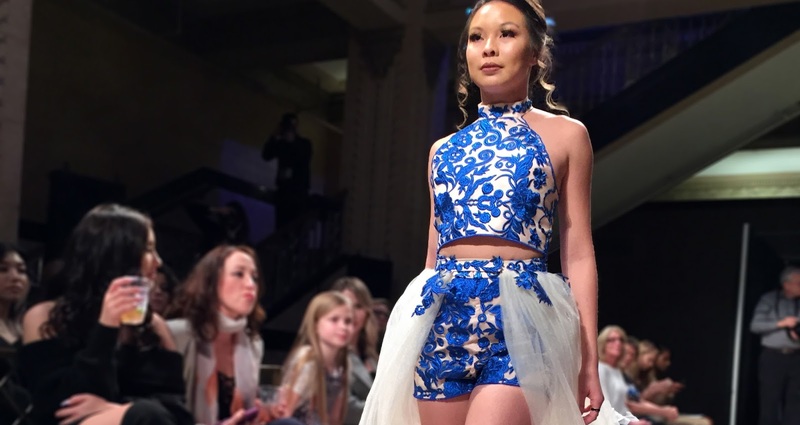 Hope you enjoyed this roundup of my KC Fashion Week Favs! 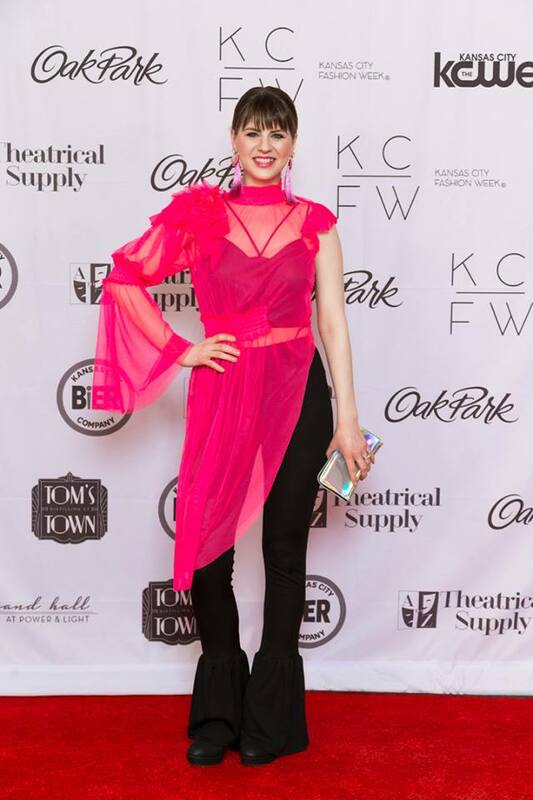 Thanks so much to KCFW for letting me attend and cover the event as media. I'm already so excited for next season!